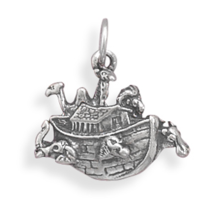 This brand new charm makes a wonderful addition to any fine silver charm collection! 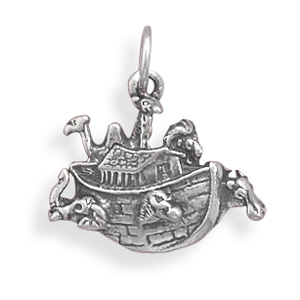 This Noah's Ark charm measures approximately 15 millimeters by 17 millimeters and it features the head of a camel, lion, elephant, zebra and hippo peeking out from the ark! Great for adults or children, this charm will be cherished for years to come! Be sure to check out our bracelets category for our gorgeous matching Noah's Ark bracelet!